Just finished writing the narration for some video ads for this awesome festival in Richland Center, Wisconsin called Center Color Fest. Sadly, the festival for this year has already passed, but these videos are to promote next year. Richland Center is quickly becoming one of my favorite Wisconsin towns. 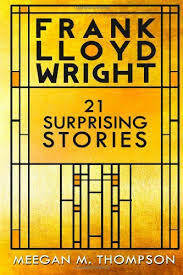 In addition to the Color Fest videos (Color Fest celebrates the coming of fall and the changing leaves, by the way), I ghostwrote a book for the Richland Center Chamber of Commerce to promote their ties to Frank Lloyd Wright. Wright was born there and designed a warehouse in town that’s privately owned and is kind of falling to pieces. We need a revival of Mayan Revival. The book is still available, by the way (shameless plug!). Before you say anything, no that’s not my name on the cover – that’s how ghostwriting works, yo. Only 99 cents on Kindle! JUST BUY IT ALREADY! My new favorite thing about Richland Center, though, is this awesome event coming up this weekend – are you ready? Three words: Hybrid. Redneck. Rally. Usually the term “redneck” has a negative connotation for me. It fills my mind with unflattering images. Yet, I consider the Hybrid Redneck Rally is as much of an intellectual event as a night at the symphony or a play by Eugene O’Neill. But wait, you say. Intellectual? Isn’t the Hybrid Redneck Rally the thing that has this? Yes. Yes, it is that very thing. But this isn’t a boring old NASCAR-type event where everyone stands around eating crappy ballpark food, swilling cheap beer, and spitting. Actually, there is cheap beer. And there may be some spitting, as mud-in-the-mouth is likely a common affliction among participants. But this rally is full of grit. It’s hard living devil-may-care ingenuity at its finest. It’s the affirmation of life and the embrace of nature from its pinnacle to its bowels, juxtaposed with the gasoline smell and twisted metal of evil machines. And we ride those machines. By god, do we ride those machines. I am the master of this magnificent steel beast! I am psyched. This coincides well with the return of Hillbilly Punk, a genre of music (and, for some, a lifestyle) that is apparently reemerging in locales closer to civilization, like the Twin Cities, Milwaukee, and Chicago. Of course, I understand the attraction. The only thing that surprises me is that it took the genre so long to spread – or, rather, that it took people so long to pick up on it. Anyway, October 12th, 2013. Hybrid Redneck Rally. If you miss it, you should punch yourself in the face. Thanks for the plug for Richland Center and all it’s FUN!!! These Hybrid Redneck events are also called 4 Seasons of FUN!! We do like to have FUN! !